Smokin Zip a Roo (Roo) !! Dudes 2002 foal crop !! 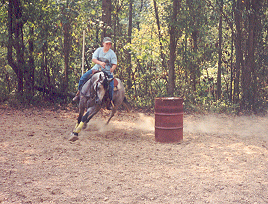 Here are some photos of Dudes training in barrels... 9/2/02..
Leshia is riding.. so I can see where he needs work at...Leshia is 13 yrs old.. 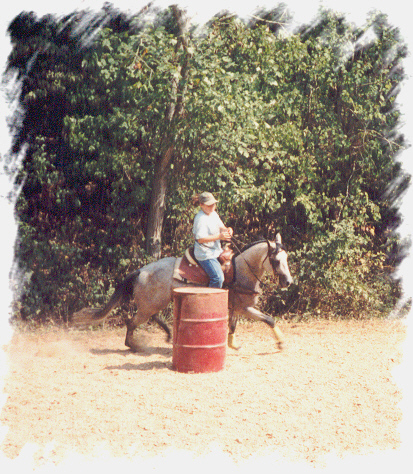 Going around the second barrel... she was having FUN !!!!! !